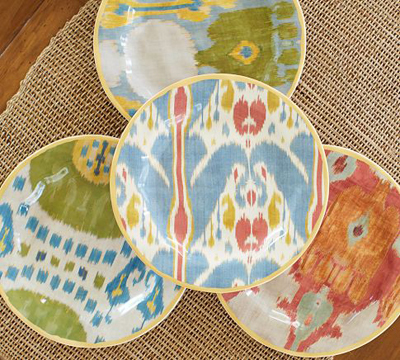 Four traditional ikat designs are re-created on these set of 4 stoneware Ikat Salad Plates, each trimmed with a golden edge that unifies the set. 9″ diameter, 1″ high. 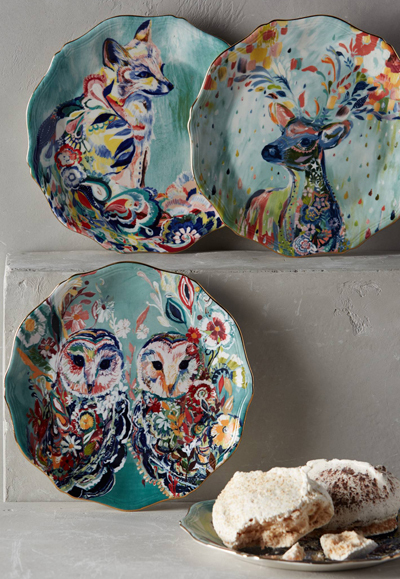 Made of stoneware with an on-glaze decal. 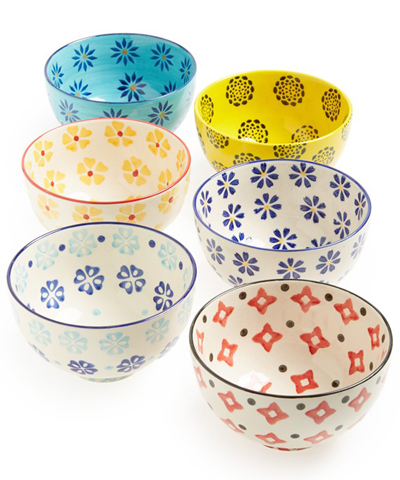 Microwave- and dishwasher-safe. Set of 4. Packaged in a hatbox. $49.50 Sale $28.99. Buy here. 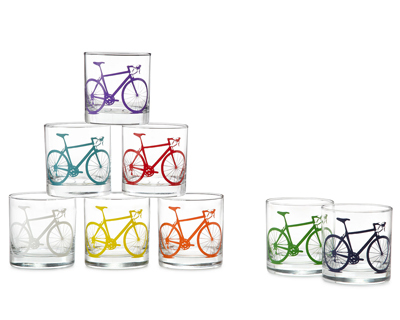 Take all-occasion glassware on a tour de style with the statement-making Set of 8 Bicycle Glasses. Bold bicycle silhouettes are screen printed directly onto these cups using a special ink that cross bonds with the surface, making them dishwasher safe and durable. 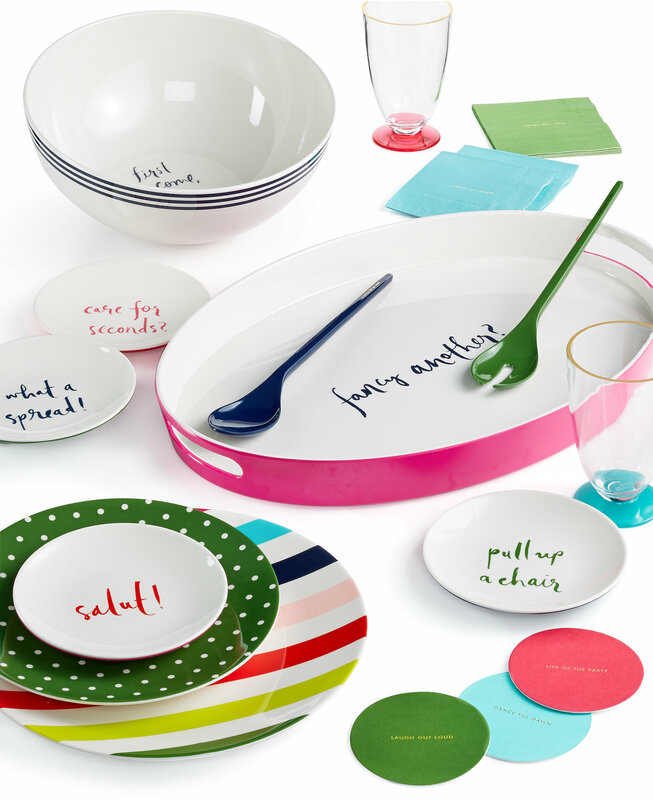 Comes in a set of 8 bold colors. Made in Louisiana. Printed in Denver, Colorado. $75. Buy here. 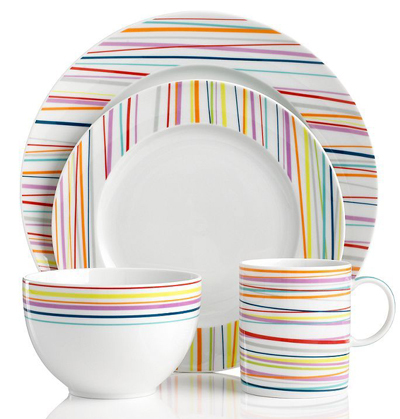 Bring a splash of color to your table with the Ikat Dinnerware Collection from Threshold. 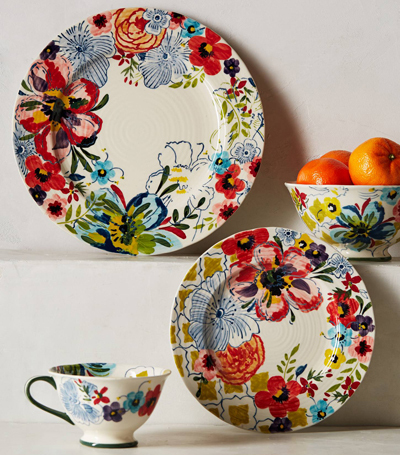 Each plate and platter is made from durable, break-resistant melamine, making it ideal for outdoor dining. 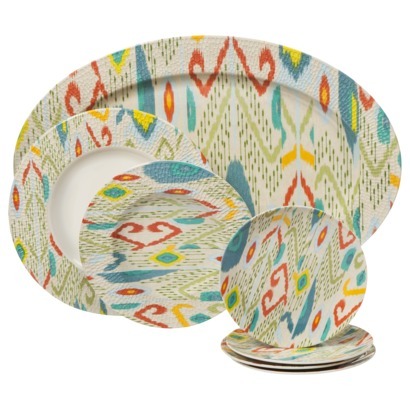 These white dishes feature an updated Ikat design in bright shades of yellow, turquoise, coral and sage. $9.99-$14.99. Buy here.